There was chaos on a Carnival Cruise ship when the cruise suffered a technical issue that made the ship list, or lean to one side. The cruise line confirmed to USA TODAY Thursday that the tilt, which happened after the ship departed from the Florida coast Sunday, lasted for "approximately one minute." The aftermath of the dramatic tilt was captured in photos shared to Twitter by local CBS-affiliate WKMG reporter Clay LePard. The images show items on the floor along with broken glass and shattered plates. Guests on the cruise told the news station the tilt caused panic. "I didn't think anything of it, since it's not uncommon for ships to rock back and forth. But it didn't rock back. It kept leaning," David Crews, of Long Island, said. "Plates and silverware started sliding off the tables. Then the tables themselves started to slide. Glasses and plates started to fall and shatter. At this point, it was pure chaos. Screams. Cries. Panic." Others took to social media to share their reactions and concerns. The cruise line issued a statement that noted it was business as usual aboard the ship after the tilt. 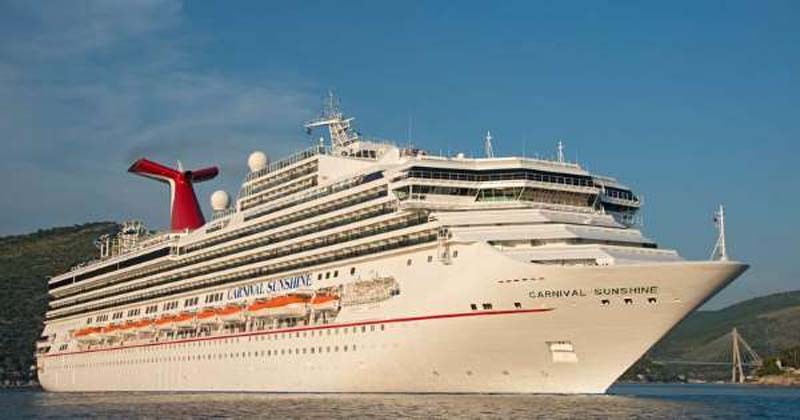 "There was never any issue with the safe operation of the ship and our officers quickly intervened to correct the situation," Carnival spokesperson AnneMarie Mathews told USA TODAY in an emailed statement. "Following the incident, evening events resumed for our guests and the ship proceeded on its Caribbean cruise as scheduled. We are very sorry for the disruption this caused." The Carnival statement added the ship remains fully operational and will sail as scheduled on Friday. "We remain confident of the safety of the ship as we are committed to the safety of our guests and crew," the statement concluded.